If BlackBerry makers Research in Motion weren’t already in enough trouble, it seems that the U.S. military could switch over most of their mobile devices from BlackBerry’s to those running Apple’s iOS or Google’s Android mobile operating systems. BlackBerry’s are, as it stands right now, the device of choice for Pentagon among other U.S. military branches. 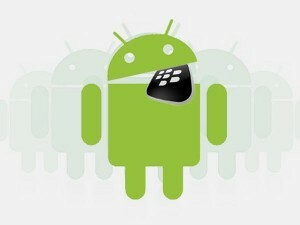 It’s also worth noting that RIM’s biggest customer is… the U.S. military, but officials within the military have already voiced their opinion on RIM’s BlackBerry platform not being able to keep up with the iOS and Android technology. People have been calling for this for years. It’s acknowledged that the world is moving toward mobility and the department’s got to move in that same direction.